In the ARMN 2011 Annual Report, President of ARMN Caroline Haynes shares a snapshot of ARMN volunteer effort last year. The numbers are impressive: 127 ARMN volunteers provided a combined 9,000 hours of volunteer service that reached out to over 10,803 individuals. While the total number of volunteer service hours is often the first question we are asked about the ARMN program, the types of service ARMN members provide and the groups ARMN partners with are also significant. ARMN volunteers engage on a daily basis in environmental education and outreach, in stewardship projects, in citizen science projects, in basic training, and in advanced training. 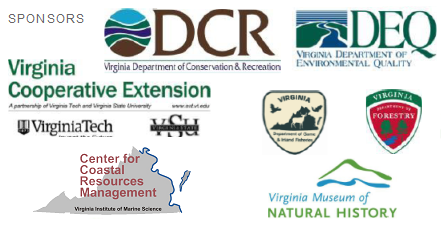 Dozens of ARMN partner groups include nature centers, county parks, public schools, Earth Sangha, National Park Service, National Aboretum, The Smithsonian, and The Nature Conservancy. ARMN members are urged to report their volunteer hours, including the types of service and the partner groups for which the service is provided. Those who have reached master naturalist certification levels recently will be recognized at the July 29 chapter meeting and cookout at Long Branch Nature Center in Arlington, Virginia.